Three divers working for the Police of are shot dead as they step ashore on the Ulster mainland after leaving Rathlin, an island in the straits between Northern Ireland and Scotland. The killings appear to be sectarian and could spark a return to violence in the Province after years of uneasy peace. A clue lies in a document left on Rathlin with Jackie Wilson, an anthropologist. He believes he is a neutral bystander in the age-old conflict, but in reality he is buffeted by conflicting loyalties. Pursued by all sides, he tries to unlock the secret of the document. 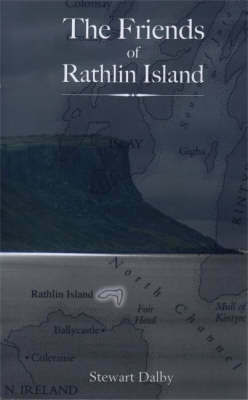 Gradually he discovers that the seas round Rathlin hold secrets that could change the future of Northern Ireland. But at the same time he becomes painfully aware that there is no sitting on the fence in Ireland, as he confronts his past and his life in terms of love, commitment and betrayal.